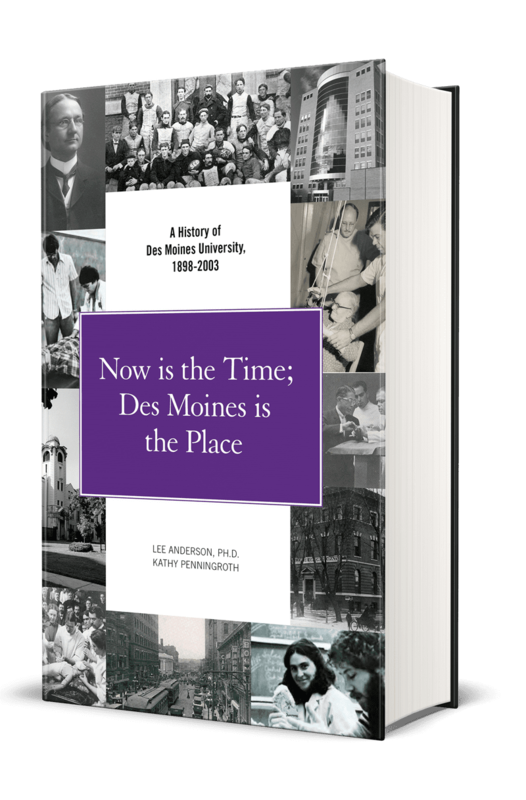 The history of Des Moines University reflects a continuing commitment to teach, to learn and to serve. Founded in 1898 by Dr. Summerfield Saunders Still and his wife, Dr. Ella Still, the Dr. S.S. Still College of Osteopathy was located at 1422 West Locust Street, in downtown Des Moines. The College Infirmary, located across the street, provided an opportunity for students to work directly with patients during the course of their medical training. Students' coursework included classes such as descriptive anatomy, theory of osteopathy and dissection. From its founding through the early 1920s, the College admitted large numbers of female students, sometimes comprising over one-third of the class, who attended classes and trained alongside their male classmates as equals. Over the decades, female enrollment waned, but experienced resurgence during the 1970s. Today, female students make up over 55% of the student body. In 1905, the school changed its name to the Still College of Osteopathy and continued to grow and prosper during the first part of the 20th Century. In 1909, the College purchased the Iowa Sanitarium building and opened the Des Moines General Hospital. The Hospital was sold in 1916 but remained closely tied to the School until closing its doors in 2000. Outside of class, student life flourished, as professional fraternal organizations, sports teams and a College band kept students busy in their spare time. By 1927, the College had outgrown its building and moved to 722 Sixth Avenue, just a few blocks north of the city center. The College was renamed the Des Moines Still College of Osteopathy and Surgery in 1945 to reflect an expanding curriculum. One year later, the College opened the Still College Osteopathic Hospital and College Clinic, which provided enhanced clinical training opportunities for students and increased health care options for the community. In 1967, the Hospital became the Harrison Rehabilitation and Treatment Hospital, the first center in the state of Iowa to treat the disease of alcoholism. The clinic closed in 1972, when the College moved to Grand Avenue. The name changed again, in 1958, to the College of Osteopathic Medicine and Surgery. Beginning in 1963, the College opened a number of off-campus clinics in Des Moines and the surrounding area. In 1971, the Dietz Diagnostic Center, located on Des Moines' south side, began operation as a major outpatient facility. In 1972, the college moved to its present 22-acre site on Grand Avenue. Originally the campus of St. Joseph's Academy, a former Catholic girls' school, the Grand Avenue location continues to provide faculty and students with the resources they need to succeed. During the ensuing years, enrollment in the college more than doubled and new buildings added to and replaced those used by the Academy. In 1980 The University established two new colleges, the College of Podiatric Medicine and Surgery and the College of Biological Sciences (later renamed the College of Health Sciences)., These colleges, with the College of Osteopathic Medicine and Surgery, became the University of Osteopathic Medicine and the Health Sciences (UOMHS) in 1981. The college of Podiatric Medicine and Surgery was the first podiatry school to be affiliated with an academic health science center and is one of nine podiatric medical schools in the nation. In the College of Health Sciences, the charter class of the physician assistant program received the bachelor of science (B.S.) degree and the physician assistant certificate in 1983. The first graduates of the health care administration program received the master of science (M.S.) degree in 1986, and the first graduating class in the physical therapy program received the master of science in physical therapy (M.S.P.T.) degree in 1990. In 1986, the ten-story, Clinic building opened, which offered primary care, medical specialties and ambulatory surgery. Adjacent to the Clinic is the 1,500-seat Olsen Medical Education Center. 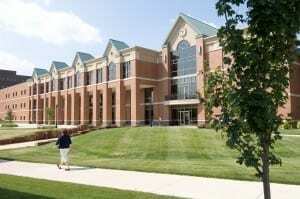 Renamed Des Moines University in 1999, DMU has completed some major changes to campus over the last decade. The former Science and Education Building, which was remodeled in 2002, was renamed Richard M. Ryan Hall in 2005, after the University's 13th president. The Student Education Center (SEC) opened in 2005, replacing the former St. Joseph's Academy building, and in 2006 the Munroe Building was remodeled to house two more classrooms. These changes reflect the needs of students and faculty, as the incoming class sizes have been increased for the osteopathic, podiatric, physician assistant and physical therapy programs. Along with enrollment numbers, entering GPAs have increased as well. As a state-of-the-art campus, today's student uses technology in order to achieve a top-notch education. The Iowa Simulation Center for Patient Safety and Clinical Skills, which opened in 2007, allows students to develop and improve their diagnostic and clinical skills and patient care abilities using cutting edge technology. 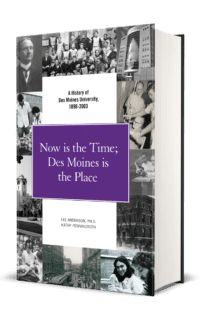 With over 11,000 living alumni, Des Moines University has a vibrant history that continues to inspire. And as the second oldest osteopathic medical college in the United States, Des Moines University continues to prepare physicians and allied health care personnel for careers in the ever-changing field of medicine, while developing innovative programs to serve students and society. Born on December 7, 1851 in Macon County, Missouri, in 1898 Summerfield Saunders Still, D.O., co-founded the Dr. SS Still College of Osteopathy with his wife, Dr. Ella Still, D.O. He received his D.O. degree from the American School of Osteopathy (ASO) in 1895 and taught anatomy there before founding Still College in Des Moines. Quoted as saying, "Now is the time, Des Moines is the place," Dr. Still served as the College's first president and taught anatomy from 1898-1905. A founding member of Associated Colleges of Osteopathy, Dr. Still served as the organization's president in 1902. He also founded the Iowa Osteopathic Association and the Polk County Osteopathic Society. The Stills remained in Des Moines until 1913, working in private practice. They returned to Kirksville, and in 1918, S.S. became ASO's vice president. He was promoted to president in 1922 and remained in that position until 1925. He died in November, 1931 and is buried in Des Moines. Charles Edgar Thompson, A.M., D.O. Born in Momence, IL on December 14, 1864, Charles Edgar Thompson, D.O., was the son of John Milton and Phoebe Jane Mott Thompson. He received A.B. and A.M. degrees from Ewing College in 1888 and received his D.O. degree from Still College in June, 1902. 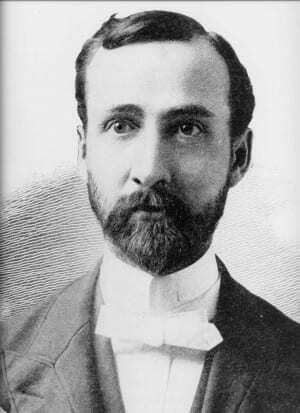 Prior to his arrival at Still College, Dr. Thompson taught at Greek and Latin at Ewing College, Mary Nash College and Decatur Baptist College, where he also served as president from 1895-1898. Dr. Thompson arrived in Des Moines when his wife became ill and sought osteopathic treatment. Her recovery inspired him to study osteopathy. He served as a professor of chemistry from 1901 until 1911, also serving as dean (1902-1905) and as president (1906-1911). Thompson was a long-time member of First Baptist Church and served as a deacon for twenty-three years before passing away in April, 1956. Simeon LaFayette Taylor, D.O., M.D. Born on March 12, 1872 in Scottsberg, Kentucky, Simeon LaFayette Taylor, D.O., completed A.B. and B.D. degrees from Lombard College and received his D.O. from the Still College of Osteopathy in 1903. He received an M.D. from the University of Nebraska in 1908 and completed post-graduate work at Johns Hopkins University. Prior to his medical career, Taylor was a Pastor at the First Universalist Church in Hoopeston, IL. 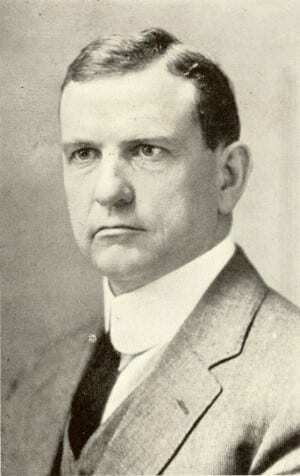 Dr. Taylor became the College's third president in 1911, a position he held until 1926. During this time, the College changed its name to the Des Moines Still College of Osteopathy. In addition to his presidential duties, in 1912 he served as president of the Associated Colleges of Osteopathy. In 1916, he purchased Des Moines General Hospital from the College and spent much time and effort improving both the Hospital and its Taylor Clinic. Dr. Taylor also served as a professor of surgery at the College and maintained a private practice. He passed away in August, 1954. Born August 28, 1868 in Monroe, Wisconsin, Charles Johnson, D.O., moved to Ontario, Iowa (now part of Ames). He received a B.S. in Science and Agriculture at Iowa State College in 1891 and wrote a thesis about farm drainage in Iowa. Dr. Johnson served as the superintendent of schools in Exira, Iowa from 1892 until 1898, when he enrolled at Still College. A class of 1900 graduate, he was in private practice in Charles City, Iowa until 1905, when he returned to the college and assumed the role of professor of nervous diseases. He remained in this position for thirty years, also assuming the roles of dean (1922-1926) and president (1926-1935). During his time as president, he oversaw the College's move from Locust Avenue to its new location on Sixth Avenue. Dr. Johnson passed away in June, 1936. Arthur Dow Becker, D.O., D.Sci. Born on August 20, 1878 in Austin, Minnesota, Dr. Becker received his D.O. 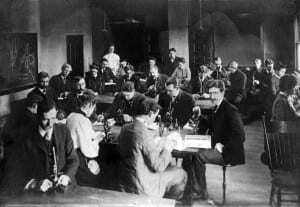 from the Still College of Osteopathy with the class of 1903. 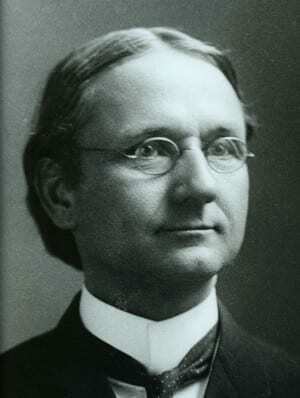 Dr. Becker was an instrumental figure who, in 1903, worked for the passage of osteopathic legislation in Minnesota. 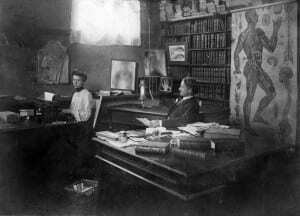 He was in private practice in that state from 1903 until 1908, when he moved to Missouri to complete post graduate work at the American School of Osteopathy (ASO). 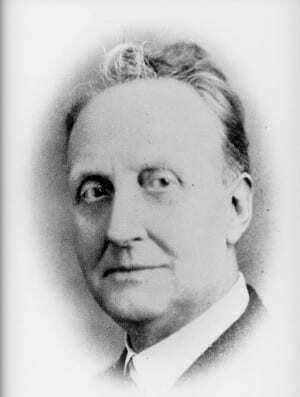 He taught at ASO 1909 until 1912, after which he returned to Minnesota, where he remained in private practice until 1922. Dr. Becker was appointed dean of the newly chartered A. T. Still College of Osteopathy and Surgery in 1922 and remained at the College until 1935, when he returned to Des Moines and assumed the positions of College president and professor of osteopathy. He served as president until 1941. Dr. Becker served as the president of American Osteopathic Association (AOA) from 1931-1932 and was a trustee for fifteen years. In 1941, he received an AOA distinguished service certificate in osteopathic education and college administration, osteopathic organization, and literary activities. One year later, he retired to Lake Orion, MI; he relocated to Florida in 1945 and remained there until his death in 1947. John P. Schwartz, D.O., D.Sci., D.Hum. Nicknamed Pinkie, JP, and Red (due to his red hair), John Peter Schwartz, D.O., was born in Batavia, NY in 1898. He graduated from ASO in 1919 and began his association with Still College in 1920. 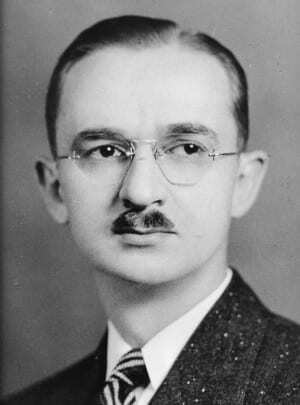 In 1921 he was named a professor of embryology and bacteriology and surgery and from 1921-1926 he was the assistant surgeon at Des Moines General Hospital, working under Dr. Taylor. He remained at Des Moines General Hospital for most of his career, serving as the surgeon in chief and head of Taylor Clinic from 1926-1940, as the chief of staff from 1940-1955 and as president of the board from 1926-1955. Concurrently, Dr. Schwartz held executive positions at Still College, including serving as dean from 1926-1942 and college president from 1942-1944. 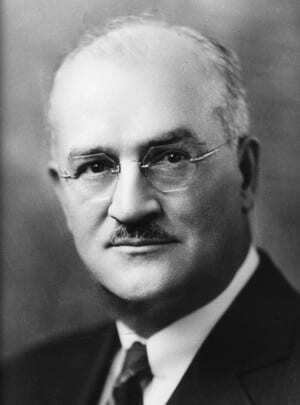 A founding member of the American College of Osteopathic Surgeons, he served as the organization's president in 1936-1937 and helped found the ACOS/AHA hospital inspection program. The American Osteopathic Association presented him with a distinguished service award for osteopathic education in 1962. Dr. Schwartz passed away in April, 1972 in Des Moines, Iowa. Born on April 15, 1914 in Pawling, New York, Dr. Clark received a B.A. from Clark University in 1934, followed by an M.A. and Ph.D. in Zoology from the University of Michigan in 1941. In 1939 he joined the Still College faculty as an instructor in the basic sciences (biology, physiology and embryology) and studied osteopathic medicine. He was a Professor of Physiology at Des Moines Still College of Osteopathy from 1941 to 1945. Dr. Clark was named the assistant to the president at DMSCO in February, 1944, and was appointed to the presidency four months later. He left the college the following year to teach zoology at the University of Iowa, a position he held from 1945 until 1947. Dr. Clark joined the faculty at the University of Connecticut in 1947and became a full Professor in 1959. He specialized in developmental biology with a research interest in nitrogen excretion and metabolism. During his career at the University of Connecticut, he was active in many academic endeavors. In 1960, he was named Director of the Institute of Cellular Biology and he directed the Research Foundation from its origin in 1963 until 1983. From 1963-1982, he served as the Associate Dean of the Graduate School, and as Interim Dean from 1977-1979. In 1982, he was appointed Associate Vice President, a position that he held until his retirement on December 31, 1983. 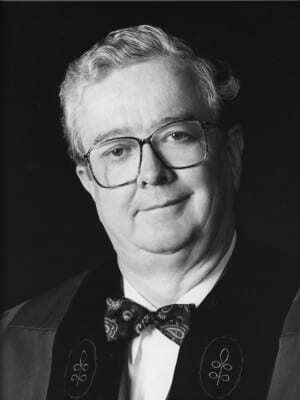 As an active member of his academic profession, Dr. Clark earned many distinctions and honors over the course of his career. He served on the governor's Committee on Environmental Policy in 1970, the Connecticut Research Commission from 1965-1971, and from 1966-67 he served on the Governor's Advisory Committee on Mental Retardation. In 1976, he received the Alumni Association Award for Leadership Excellence from the University of Connecticut. He also maintained membership in many professional societies including the American Society of Zoologists, the New York Academy of Science, and the Society for Developmental Biology, the American Association for the Advancement of Science, and the American Association of University Professors. Dr. Hugh Clark died on August 24, 2005 at the age of 91 years. A native of Missouri, Edwin F. Peters, Ph.D., received his A.B. and B.S. from Drury College and an M.A. at the University of Missouri. From 1927 until 1934 he worked in secondary education. He then returned to school and received a Ph.D. from New York University in 1940. During WWII, Dr. Peters served as a Commander in the Army Infantry and Lieutenant Commander in the U.S. Navy. 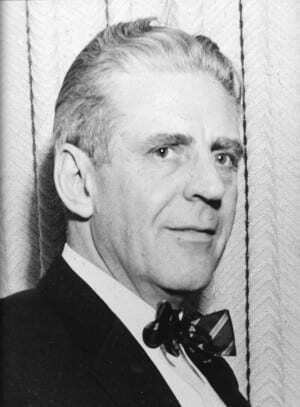 Dr. Peters' became president of the College in January, 1946 and remained in that position until his resignation in June, 1957. During his tenure, the College was renamed the Des Moines Still College of Osteopathy and the Still Osteopathic Hospital opened at 725 Sixth Avenue. He passed away in May, 1985. 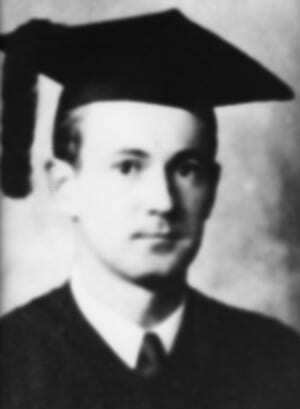 Born Salem, IL 1901, Merlyn McLaughlin, Ph.D., received his B.A. Sterling College and his M.A. and Ph.D from the University of Colorado. Throughout his career, Dr. McLaughlin was involved with the military; he was a Lieutenant Colonel in the Air Force Reserve, the liaison officer between the Air Force and the sixty-two colleges where Reserve Officer Training Corps programs were being established, and was commander of the Iowa Air Reserve Center at Fort Des Moines. He was also the official U.S. representative to the Federation Aeronautique Internationale and chairman for the International Council for Aviation Education for UNESCO. 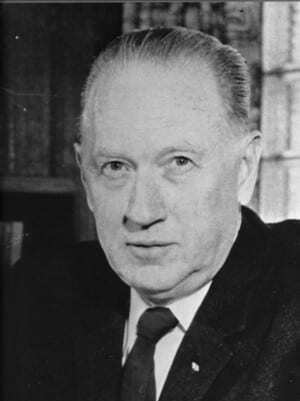 Dr. McLaughlin served as College president from 1959 until August, 1967. While in Des Moines, he served as chairman of the Armed Forces Committee of the Greater Des Moines Chamber of Commerce, was director of the Aerospace Education Council of Iowa and was a member of both Rotary International and the Board of International Education. He passed away in July, 1984, in Lincoln, Nebraska. A 1955 graduate of Georgetown University, Dr. Vigorito graduated from the Kansas City College of Osteopathy and Surgery in 1960. He entered private practice in Dayton, Ohio, later moved to Des Moines and received the College of Osteopathic Medicine and Surgery's (COMS) first M.S. degree in 1965. On June 1, 1965 he became an assistant professor of pathology at COMS and on December 1 was appointed to the position of dean. 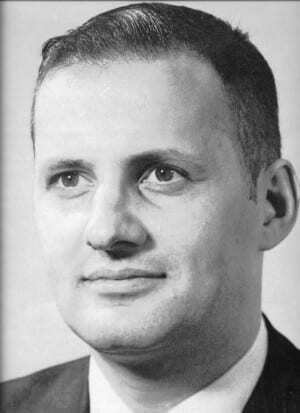 In 1966, he also assumed the position of vice president for academic affairs. 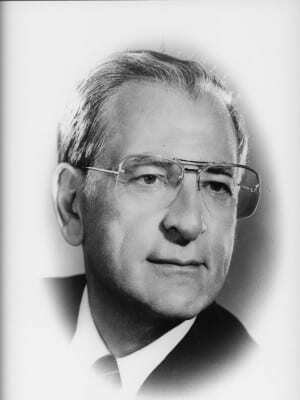 Dr. Vigorito served as the College president from April, 1968 until his resignation in March, 1971. After leaving the College, Dr. Vigorito completed a residency in neurology at the University of Wisconsin, Milwaukee. He currently lives in Tucson, Arizona. 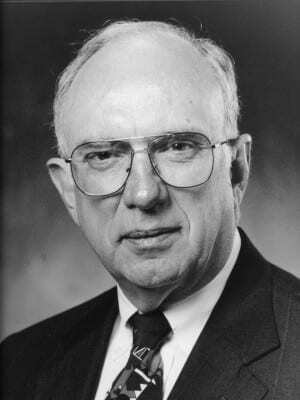 J. Leonard Azneer, Ph.D., served as University president from 1971 until 1993. An ordained rabbi with a doctorate in philosophy, he came to the College of Osteopathic Medicine and Surgery after twenty years on the faculty at Youngstown State University. During Dr. Azneer's tenure, the College moved to its current site at 3200 Grand Ave. The new location allowed for expanded facilities and faculty, and could accommodate a larger student body. The college also opened several community and outreach clinics during this time. Other major developments under Dr. Azneer's leadership included the creation of the College of Podiatric Medicine and Surgery and the College of Health Sciences in 1981, prompting the institution to change its name to the University of Osteopathic Medicine and Health Sciences (UOMHS). Also in 1981, a five-story Academic Center was added to campus. In 1987, the ten-story Tower Medical Clinic – now known as the DMU Clinic – opened. Dr. Azneer moved to Florida in 1993 and passed away in February, 2011. David G. Marker, Ph.D., received bachelor's degrees in physics and mathematics from Grinnell College and master's and doctoral degrees from Pennsylvania State University. Prior to his arrival in Des Moines, Dr. Marker held a number of faculty and administrative positions at Hope College, and served as the president of Cornell College. He was president of the University of Osteopathic Medicine and Health Sciences from 1994 until 1996. Since then, he has held positions at institutions including the Science Center of Iowa, Morningside College, Maryville University, Chaminade University and Assumption College. He is also an emeriti provost at Hope College. He passed away in May, 2016, in Philadelphia. Richard M. Ryan Jr., D.Sci. Dr. Richard M. Ryan Jr., D.Sci., received bachelor's and master's degrees from Boston University, followed by master's and doctoral degrees from the Harvard School of Public Health. In 1971 he was named assistant to the dean for rehabilitation planning at Harvard. He later became assistant dean for government health programs and associate dean for medical services. He also coordinated Harvard's affiliated teaching hospitals. In 1984, Dr. Ryan became dean for hospital and faculty affairs at Tufts University School of Medicine. One year later, he was named executive dean for the school of medicine, a position he held until leaving in 1994. During this time he also served as the interim medical dean (1990-1992). Dr. Ryan came to the University in 1996, serving as president from his arrival until 2002. During this time, he oversaw many important changes within the University. Under his leadership, the University established both the Geriatric Education Center and Human Performance Lab, developed the Public Health Program, achieved successes with college and regional university accreditation boards, upgraded the Physician Assistant program to a master's degree and the Physical Therapy program to a doctoral degree, greatly expanded both research space and scholarship funds, and complete a large-scale renovation of the Science and Education Building (later renamed Richard M. Ryan Hall) and began planning for the Student Education Center(SEC) which was completed in 2005. During this time, the University also changed its name to Des Moines University – Osteopathic Medical Center. After retiring, Dr. Ryan returned to his home in Winchester, Massachusetts. 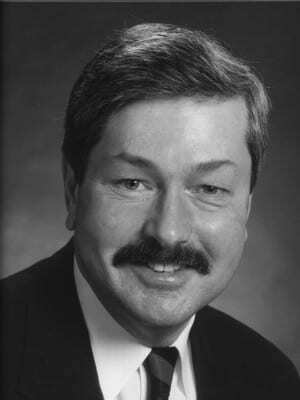 Governor Terry E. Branstad, J.D. Born in 1946 in Leland, Iowa, Governor Branstad received his B.A. from the University of Iowa and his J.D. from Drake University. He served in the U.S. Army, ARCOM from 1969-1971 and was elected to the Iowa House of Representatives in 1973. In 1979, he was elected Lt. Governor (for Governor Robert Ray) and four years later he won his first of four consecutive terms as the Governor of Iowa. He left office in 1999 and became the president of Des Moines University in 2003. During his tenure, student enrollment increased by one-third and the scholarship fund increased three-fold. In 2005, he presided over the opening of the 150,000 square-foot Student Education Center, and DMU became the first college/university in the country to achieve the "platinum well workplace" designation sponsored by the Wellness Council of America. In 2007, the master's of biomedical sciences and master's of anatomy degree programs debuted, and the University's state-of-the-art Iowa Simulation Center for Patient Safety and Clinical Skills opened. Also in 2007, the University began offering global health service trips; during the program's first two years, over 130 DMU students participated in service trips to 26 countries. Governor Branstad retired from the University in 2009 and was elected to his fifth term as Governor of the State of Iowa in 2010.